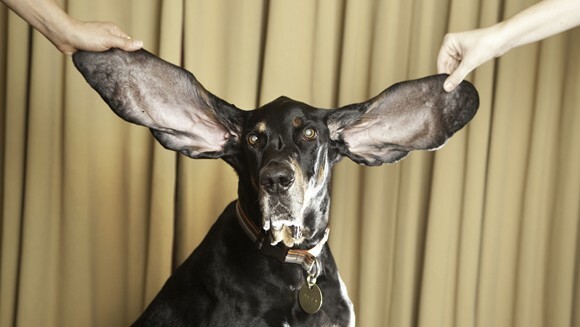 Meet Harbor he is a Coonhound and he offiicially has the largest dog ears in the world. His human companion, yoga instructor Jennifer Wert of Boulder, Colorado, says “…most days I forget how oddly long his ears are. He’s a phenomenon in the world and he creates smiles wherever we go”. 8 year old Harbor’s right ear is 13.5 inches and his left one is 12.25 inches. He is included in the new Guinness World Records 2012. Oops. This dog looks horrible!